Today, global society is in the stage of searching for a model of social cohabitation. The problem lies in the fact that global societies have constructed their identities through culture and religion and therefore the process of cohabitation with others appears only as a process of assimilation. The solution to this difficulty is usually found in a compromise that is plausible only when we leave essentialist standpoints. Leaving these standpoints also means the loss of identity. To overcome this problem, the first step is coming to know and understand other cultures and religions and recognize their distinctions, rather than avoiding, ignoring, or suppressing. The example of Bosnia and Herzegovina is instructive in this respect. A unique social form of communication and values arising out of it had a crucial influence in forming symbolic and cultural-religious goods and values there. We can claim that Bosnian society has been molded through a kind of original social interaction. Meaning that this society has represented one of the original types of communicative community. Cultural identities in Bosnia and Herzegovnia, as a base for ethnical -national identities, have been formed in models of communicative action, i.e., through understanding and acknowledgement. Communicative action or the process of intersubjectivity is actually based on understanding (which implies common language) and on the fulfilled demands for validity, presuming mutual recognition of social actors and their mutual acknowledgement. Communicative action qua social process took place within these language structures and recognition. Identities of social actors were validated and maintained in this kind of communication. For Bosnian society, this means that the society has been formed in an original interethnic communication, with a special identity form. 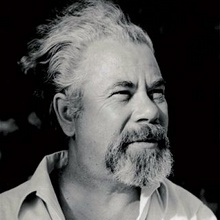 The uniqueness lies in the fact that the identity of each ethnic community formed in the medium of the common language has allowed understanding, and in the medium of the common milleu (topos) has enabled recognition, i.e., coexistence. Each ethnic group had their identity composed of the other ethnic community. Simply put, the people of BiH have not lived next to each other in mechanical relations, but together, with each other. The other was part of their identity, the other for whom it is known that he is different and distinct. But it is precisely this otherness and difference that has enabled them to affirm and preserve their own identity – the cultivation of identity included preserving the identity of the other. That was not the case of any other ethnic group in Europe. European societies were founded on one ethnic community and the others have been accepted only by the mechanical bonds of interest. This is the reason why these relationships were never solid, nor vital, and their history is largely the history of the mutual struggles for prestige and power , where the worst means have been used – such as persecutions and genocide. Identity, therefore, is not an abstract self-relation of a subject which is to be cognized, individual or collective, but the result of the recognition of the other and response to the expectations of the other. We become who we are as individuals and as nations gradually, by living with others, in an interaction with a form of pulsation. Only when the expected behaviour of the other comes back to us, can we create ourselves as rational individuals or collectives. Hence, identity structures do not belong to us only; we cannot preserve them on our own; they have a pulsating form and intersubjective nucleus. Individuals or nations that are realized through self–relation remain secluded, isolated, and mostly atrophy and deteriorate. Identity processes arise through the networks of social pulsations which are mediated by language, work, and shared living environment. The multi-ethnical character of Bosnia and Herzegovinan society has even acquired an ideological character in the conscience of individuals and ethnical communities. The point is that the mediating elements of collectiveness (language, shared living environment and customs, cultural creativity and social values ​​derived from it) have covered ethnic and religious differences and formed a single cultural entity. 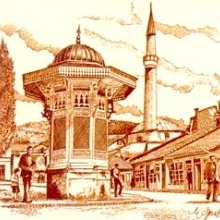 Awareness of the differences was not destructive to society, but it was integrated into the ideology of the common cultural circle as a unique Bosnian’ civilizational accomplishment. Identity which has been created through self-understanding and recognition of the other, had unfortunately, lost its foundation in the past war in Bosnia and Herzegovina. Diverse ethnic-religious communities that have built their identities on differences they were aware of, now define themselves by the list of attributes that belong to them as singularities. Self-understanding is transformed into knowledge that can be broken down into a finite number of propositions. These identities have become abstract self-relations of cognizing subjects without acknowledgment of the other. The recognition is lacking on all sides, communities still understand each other, but do not satisfy demands to one another. Moreover, the war and the new rhetorics that have lost a communication structure, ruined the foundation of the cultural-national identity of all communities, that is, a common living environment. Apparently, architects of war knew that the topos in Bosnia gave the most significant attribute to living together in diversity, and so they made every attempt to rip communities out of their environments. In doing so, they used the most brutal means – persecutions, burning and destruction of property, ethnic cleansing, and genocide. By destroying common living environment, the identity of all communities in Bosnia and Herzegovina and their collectiveness was equally destroyed (communities that have been living in new environments in exile are still searching for their identity). Unfortunately, this situation continues to this day and has become a social fact. In the heart of Europe, with Europe bearing much of the blame, a special and unique living world with a particular form of identity is lost (for which Europe is now seeking). Today, efforts to build this world through solidarity, protection of human rights and freedoms, tolerance, and “new world’s ethos” are made. It relies on the so-called comparative experiences although they exist only in the pragmatism sphere and purposeful-rational strategies. In this way, these efforts are trying to preserve a “scenario of multiculturalism”. By liberalization of space, transnational identities arising from such scenarios are attempting to imitate the topos of the life-world that existed in Bosnia and Herzegovina in its original form. This space, artificially constructed is nothing more than the attempt to compress the environment in order to achieve mobile and profitable relations and partnerships. This is not the Bosnian topos as the environment in which diverse communities maintain their differences by living. Within this produced transnational identity there are insurmountable boundaries in language, culture, religion and tradition that still remain. These boundaries, although attenuated by new types of European democracy or tourist agencies’ strategies, often come to the surface taking the form of assaults, small riots, or open crimes against members of other ethnic and religious groups. In Bosnia and Herzegovina, Europe lost itself. 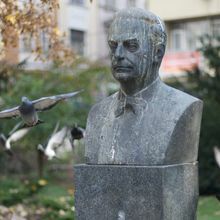 Ivo Komšić (born 16 June 1948) is a Bosnian doctor, professor, and politician of the Social Democratic Union and the current mayor of Sarajevo. He was a key figure in the talks that led to the end of the Bosnian war with the Dayton Accords.